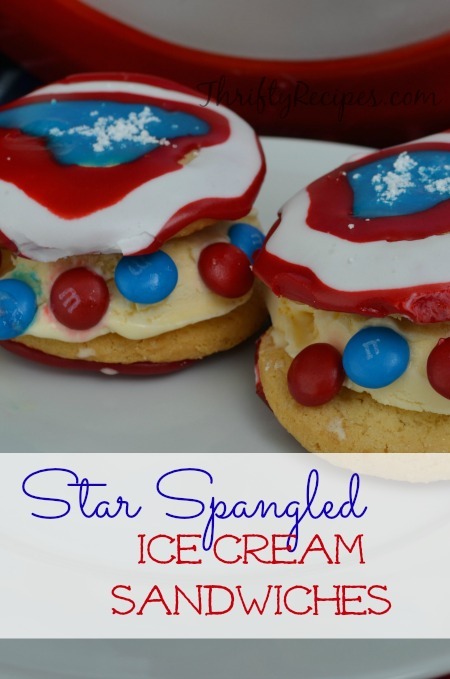 This really has to be one of the easiest recipes EVER! 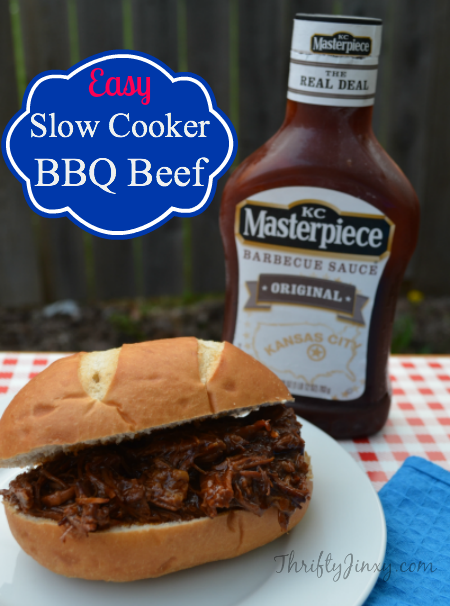 It only uses a few ingredients and it sits cooking in your crockpot all day! It tastes delicious served on buns or just on a plate with a side of potatoes and veggies. 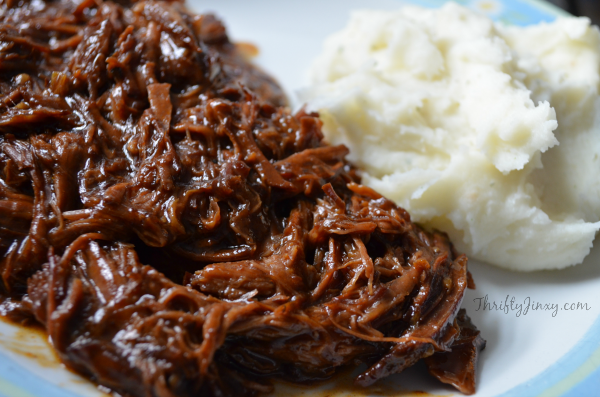 Place the beef in the slow cooker. Cut 12 deep slits spread out over the surface of all sides of the roast. Press 1/2 clove of garlic into each slit. Sprinkle both sides of roast with salt and pepper. Add BBQ sauce and turn roast to coat all sides. Cook on low 7 to 8 hours or until meat shreds easily by pulling it apart with two forks. To serve, place on sturdy buns like kaiser rolls, or just serve on a plate alongside mashed potatoes (which is how my husband likes it). What is the Build Your Kitchen Drawer Sweepstakes? 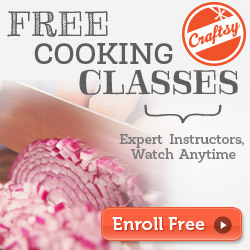 Build your ideal Kitchen Drawer filled with great Good Cook tools and gadgets. Visit goodcook.com and choose up to 15 items from selected Good Cook products to create your ideal kitchen drawer then enter to win everything you selected. If you can’t decide what you want, let the Good Cook Kitchen Experts help – simply choose one of thefeatured Kitchen Expert Blogger drawers and enter it for a chance to win. Reader Giveaway: Guess what? We also have these same three items to give away to one lucky Thrifty Recipes reader! This is a flash giveaway that only lasts 48 hours! You must enter by Monday, June 9, 2014 at 4:00PM, PST. Just complete the entry for below. 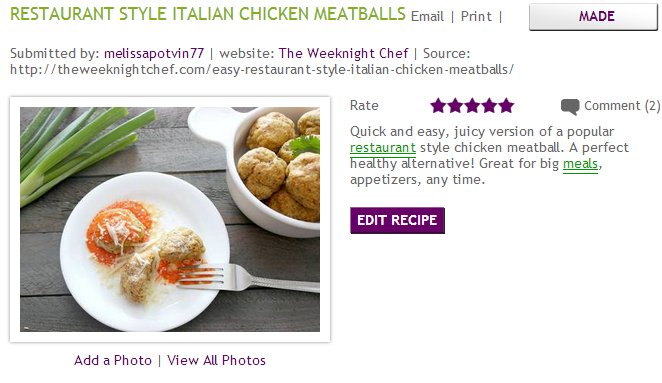 Vote For Us On Better Homes & Gardens Recipes! 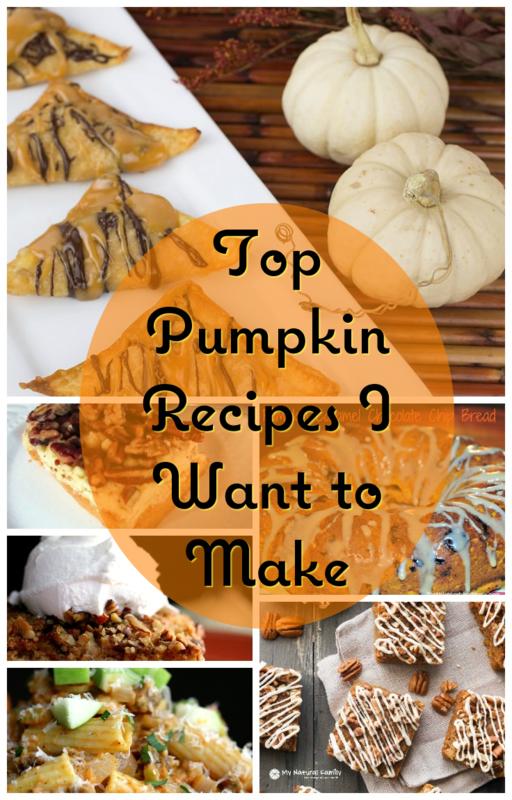 I have entered my first recipe contest and would love & appreciate your support! It is very easy to vote, just click the link , CLICK VOTE and enter the security code. Thanks to everyone who is participating!!! While thrifty recipes are one way to save a heap of money, there are lots of other ways too. To offer you some ideas, we have joined together with a bunch of other great bloggers to give you some money-saving ideas and you also have a chance to win a great prize just for reading tips and leaving some comments! The prize is fabulous – an AUTHENTIC COACH ROSE GOLD METAL FRAME LEATHER HANDBAG COACH MODEL MSRP $398.00! Just find the articles for the carnival at the bottom of this post and continue reading here for the rules. 4) You can enter as many times as you want by going to each blog on the linky and repeating the above. 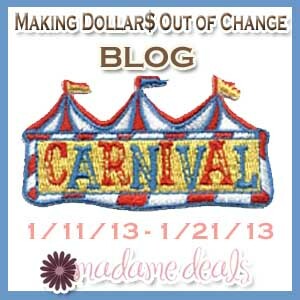 The more blogs you visit the greater your chance to WIN the purse. This recipe is a perfect appetizer for a St. Patrick’s Day party. It is also a good way to use up any extra corned beef left after the big day. It could be called “almost a reuben” dip. Mix all ingredients together and heat in a medium saucepan over medium low heat until heated through. Serve on rye bread rounds or wheat crackers. NECTRESSE™Sweetener in My Pomegranate Lemon Green Sun Tea – YUM! There are a lot of options available when it comes to sweeteners, but did you know that NECTRESSE™Sweetener is the ONLY 100% natural sweetener sweetener made from fruit – specifically monk fruit extract. It’s 150 times sweeter than sugar and can be used in your favorite recipes for cooking and baking to add natural, zero calorie per serving sweetness, as well as in your favorite beverages and other foods. To put it to the test, I used it in one of my very favorite beverage recipes – Pomegranate Lemon Green Sun Tea. The recipe is pretty simple: Place 5 tea bags in a large glass jar. You can use any type of tea that you like, but I like to use 2 Lemon Zinger bags and 3 regular green tea or green tea with raspberry bags. Then fill jar with water, leaving about 2 inches free at the top. Place jar in the sun and let it brew for 4-5 hours. Once brewed, stir in NECTRESSE to taste ( I used 5 packets.) Then add 1 cup pomegranate juice and 1/4 cup lemon juice. Refrigerate until chilled and serve over ice. The tea turned out wonderfully with the NECTRESSE. I’m ready to try it in some of my other favorite recipes now too. Want to try it for yourself? You can request a FREE sample of NECTRESSE™Sweetener. 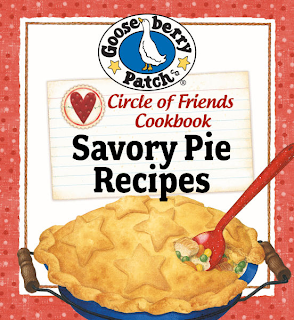 Gooseberry Patch is offering a FREE 25 Savory Pie Recipes eCookbook through their Facebook page. This new collection features 25 savory pies that are sure to get mouths watering and tastebuds tingling, from Flaky Chicken Pot Pie and Spaghetti Pie to Upside-Down Mexican Pot Pie and Slow-Cooker Sausage Pie. Includes 25 recipes.